Love the composition and the flow, Even the sky sweeps to the right. Well done! 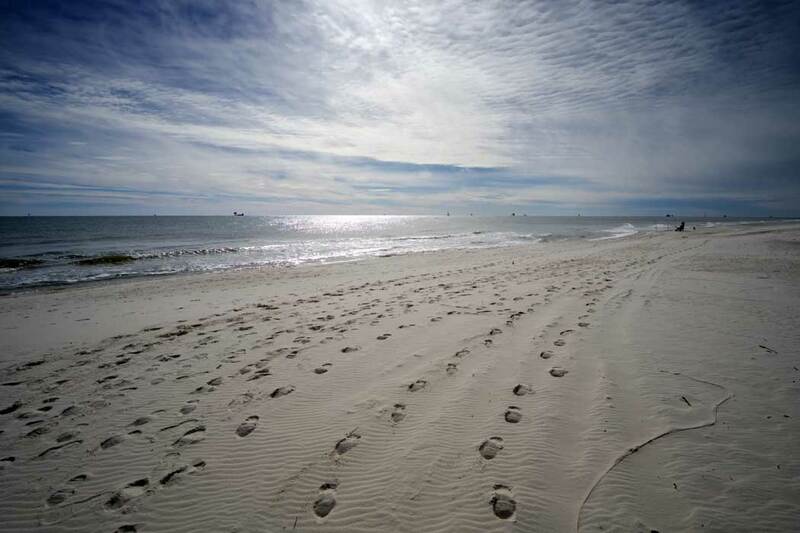 Footprints to infinity. Everything is sweeping to the right and off into the unknown.